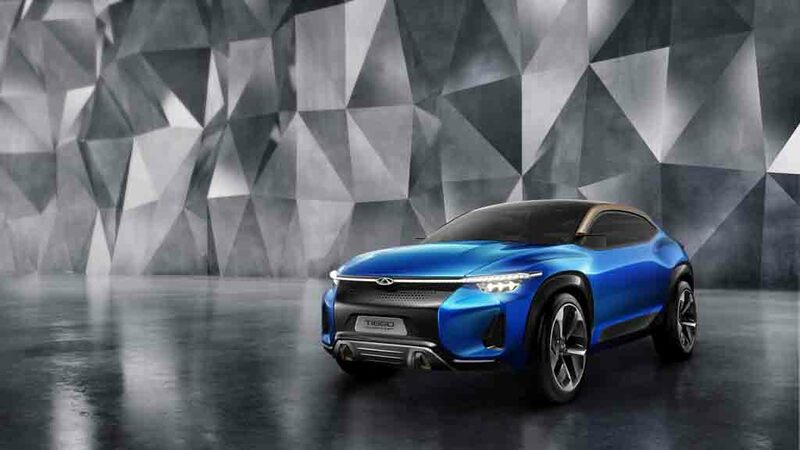 Chinese auto manufacturer Chery has unveiled its Tiggo Sports Coupe concept at the Shanghai Auto Show. 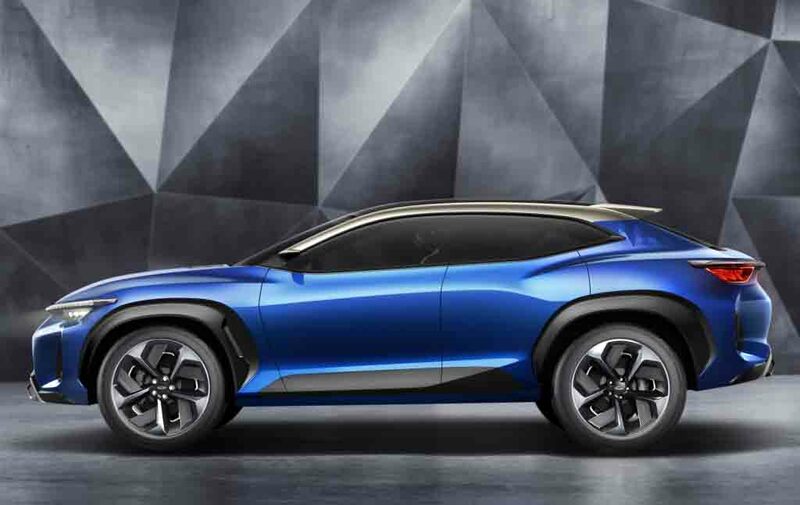 The concept previews a very interesting looking SUV coupe which would hit production in near future. Enhancing the excitement about the vehicle is the autonomous driving technology incorporated to it. Chery Tiggo is a compact crossover manufactured by the Chinese automaker and it has been designed following the brand’s “ideal for the future Tiggo”. It features a dynamic water flow themed design, which blends masculinity with aesthetic charm. The sports coupe concept boasts soft curves and muscular fenders giving it a strong presence. Surely, it would inspire the future Tiggo, and as it appears the future vehicle will be much better looking compared to the current generation Tiggo. 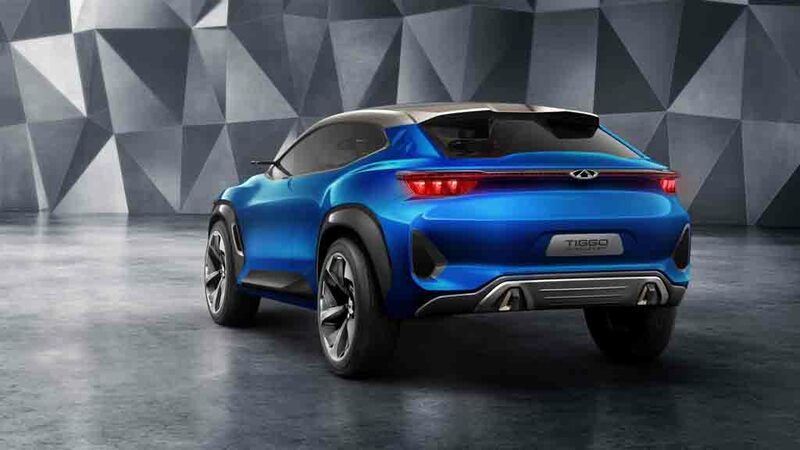 Speaking about the design, the Chery Tiggo sports coupe concept gets sleek LED headlamps connected by a slim LED strip running horizontally right above the blackened front grille. The radiator grille could come sporting aggressive mesh design, once it hits production. Front bumper looks chunky and bold. It gets large air dams at both ends and a thick skid plate emphasising on the tough character of the vehicle. The side profile gets large sporty alloy wheels, suicidal doors, black cladding and muscular subtly flared fenders. The roofline appears nicely curved and the rear profile of the vehicle gets LED taillights connected by a sleek LED strip running horizontally. The roof spoiler looks unique with its centrally split appearance and the skid plate is visible with two potential tow hooks. The interesting styling job is present inside the cabin also. The interior features floating seats, a full length centre console and dual digital displays delivering a premium feel. 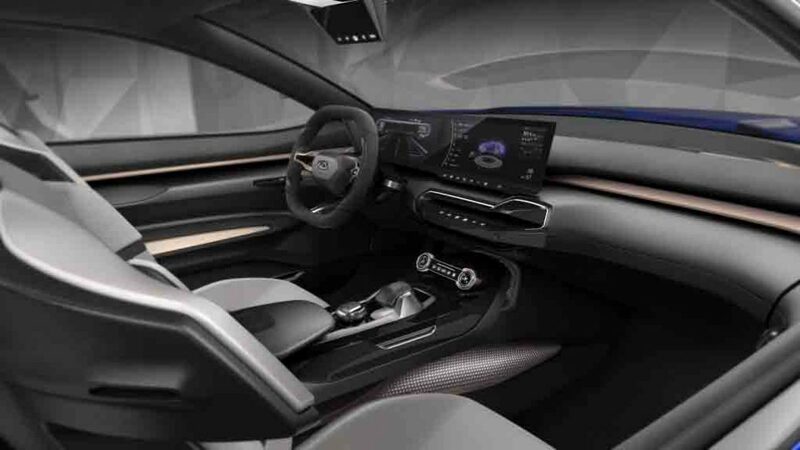 The chunky looking multi-function steering wheel, minimal control buttons along with integrated glass panels on roof are the other elements visible inside the cabin. The steering wheel can be used to play video game, while the vehicle will run on self-driving mode.